Skip Dinner & a Movie…Have an Experience! Every year I tell you to skip the dinner and a movie routine, and make memories together instead. “Experience Dates” inspire conversation and connection, and if you’re adventurous, we’ve got some suggestions for Valentine’s Day. For the art lovers, take some time to look at the paintings instead of smelling the roses. Upscale gallery/boutiques like Rumjahn Gallery and Framery are full of eye catching, conversation starters, and you might even find a just because gift for your special person while you re there. Gamut Gallery is also perfect for an art lovers’ date night! Kevin: I like these dates because it gets you out of your comfort zone, and it’s something different than what we normally do on a normal Saturday night. GRETCHIN: And it always sparks such really good conversation about the different pieces! Kevin: We always see something different, and we can talk about it. GRETCHIN: You can even step outside of your box and take an art class at Gamut Gallery! Our classes are a perfect way to relax, unwind and be creative. 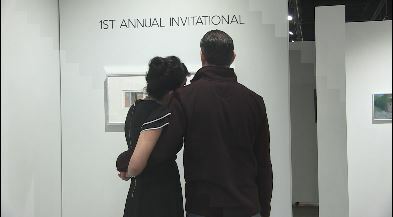 It also gives couples a chance to share an experience together. Or hit up the trendiest new date night experience…a wine bar! Sip in Owensboro is more than a wine bar, it’s an experience! Not a big wine person? They’ve got a great craft brew selection, and amazing bourbons, from Makers Mark to Weller. This ain’t your mama’s wine bar. There’s always something going on at Sip: live music, sips and succulents (it s a DIY art thing), paint and sip, and pop up shops. Plus, I love all the random and hilarious games you can play. The Wine Down in Newburgh focuses on being cozy, not contemporary, and it shows. Comfy leather couches these feel good don’t they? GRETCHIN: With a wine selection of over 70 kinds, you re sure to find an old favorite, or discover a new one! How was your “Precious” shiraz? Kevin: You’re going in blind here! I haven’t looked at the script. Try a cooking class at Thyme in the Kitchen or Capers Emporium in New Harmony! Joni: Well, we just opened our bakery so we’re going to have all kinds of delicious cupcakes and bars and cookies and fresh homemade bread! Go even more low key and pick up a bottle, a fun new game, and some great local cheese. And stay in for the night. And I got a Payday! Lamasco is hosting a Flamenco Experience, an evening of flamenco music, dance and dinner. And join Kelo and I for V-day 2 at O’Brien’s the 15th, for a night of hip-hop and Hollywood glam!